New York, November 4, 2013 – War does not determine who is right or who is wrong, but who is strong. Style is about so much more than what you wear - it's who you want to be. Six stylists, three judges, twelve challenges and US$15,000 up for grabs for creating the strongest over-all vision. Fashions fade but only style remains - this is Style Wars. Up and coming stylists from London, Los Angeles, Australia, New York, and South Africa were flown to a secret location to battle it out in a new reality competition TV series called, STYLE WARS. Style Wars is an original television program of Fashion One network. This 6-episode competition will give audiences an insider's view into the world of styling and art direction. Every week, stylists compete in a fashion-packed "stylathon" that will challenge their versatility in creating original and inventive ensembles for commercials, music videos, photo shoots, and fashion films. Christmas balls for accessories and wicker baskets for a wardrobe ensemble, these are some of the unique and challenging items that the competing stylists are thrown and forced to construct, with some materials far less conventional than others. Each episode promises a creative thrill with twists and turns in between tasks resulting to a spicy battle of style, wits, creativity, and self-preservation. UK ITV's Nessa Wrafter hosts the show and also acts as a member of the esteemed panel of judges that includes UK fashion stylist and fashion editor, Rachel Anthony, and New York and London's celebrity stylist, Adam Master. "Style is about expressing oneself. It is 'who I wannabe today' and not 'what do I want to wear'," Nessa quotes. "A contestant must have a clear vision and be able to translate that vision into an image and style," adds Adam. "Fashion is more than runways and models. 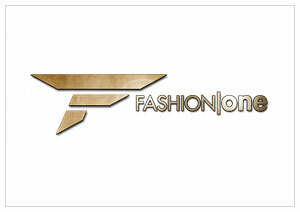 Fashion One LLC invites our viewers to step into the world of styling and art direction. Style Wars is about fun, fashion and creativity," exclaims executive producer, Ashley Jordan, "It's about showcasing the talents of a new breed of fashion stylists in a competitive environment where unexpected twists test each other's ability and determination to create impressive commercial and editorial shoots." With limited time and resources, who will triumph and who will crack under pressure? Who can dress to impress? Style Wars premieres on November 28, 2013 and will be shown every Thursday at 22:00 (GMT+8 for Asia / GMT+1 for the rest of Europe), exclusively on Fashion One LLC. Check your cable operators for your local TV channel listing. Style Wars is a Fashion One LLC original programme. The show is created by executive producers Michael Gleissner and Ashley Jordan, with Cara Salmeri as producer. To learn more about Style Wars, please visit www.fashionone.com/StyleWars or post your comments on @fashion_one #StyleWars.